Yahoo! Southeast Asia is looking for a sharp, results-driven events producer in Manila. The Events Producer will be responsible for building and driving online and offline Yahoo-branded events in the marketplace. 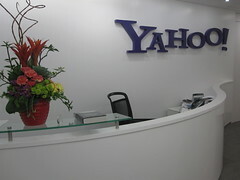 You will work across various teams at Yahoo!, including Editorial, Sales, Business Development and Marketing so you need to be a strong communicator with great skills in aligning business needs. This role comes under the Media Development team but you need to be comfortable working independently to drive events. The event producer reports to the Head of Media Development, who is based in Singapore. Please send your CV to me at and I will forward it to the right people.